The human taste for sweetness is something all people are born with, even if to varying degrees. Sucrose, which is an organic compound commonly known as table sugar, and sometimes called saccarose, is necessary for life. Historically speaking, humans have sought out sugar from a variety of sources, including plants, fruits and honey. But the plant that contains the highest amount of sucrose is sugarcane. The word “sugar” is derived from the Sanskrit sarkara, suggesting that sugar use has dates back at least 2,500 years. It also suggests that it was known, and perhaps even grown for use in Southeast Asia, India and New Guinea, as well. Though sugarcane was grown in China in that early time, it wasn’t used to develop sugar-based foods and treats. Instead the Chinese favored the use of maltose, an extract from the sorghum plant. Once discovered the use of sugar began to make its way around the world, likely through the means of cultural and geographical trading. The ancient Mediterranean received sugar from Asia, and was used for medicinal purposes. Though it was used throughout the region, it was not grown there until the Middle Ages, when the Arab community introduced it to the area. During his voyages, Christopher Columbus introduced sugarcane to the Caribbean region, though it wasn’t considered to be an important agricultural crop until the mid 17th century, when Europeans realized a process for refining sugar. Around this time, the demand for sugar in Europe increased, likely due to the introduction of tea, coffee, and cocoa, as well as the increased demand for sweet foods. The tropical climate and soil of the Caribbean was ideal for the cultivation of sugar cane, helping to meet the demands of the European region. During this time period, the labor required to produce sugar was exceptional, and an estimated 15 million Africans were brought to the United States to provide manual labor in the sugarcane fields. To make sugar, sugarcane must be crushed and the juice extracted. The juice is then heated, allowed to cool until it crystallizes, which is considered raw sugar. Left behind was a sweet residue called treacle, or molasses, which could not be further refined by traditional methods. Its advantage was that it was much less expensive than white crystallized sugar. In colonial times, molasses was used as a sweetener and was employed to make rum. The British passage of the Molasses Act and the Sugar Act, which were very unpopular taxes in the Colonial America, contributed to the War for American Independence. Improved technology for processing sugarcane was developed during the 19th century, greatly reducing the price of sugar. Sugar was an easily transported and stored commodity and quickly became the major ingredient in candy production. It was first used in the hard candies of the 18th century, then chocolates during the 19th century. Into the 20th century, sugar use was expanded to a variety of foods, including baked goods, processed foods and soft drinks. In 1747, it was discovered that sugar beets also contained a large amount of sucrose. But the method of extracting the sucrose from the beets wasn’t formulated until the late 1700s. As a result, sugar beets did not become a large part of sugar production until the late 19the century. The production of sucrose from the sugar beet crop is more expensive than that of sugarcane refinement. Sugar beet farmers from around the United States, especially in Utah, lobbied Congress to main price support for the sugar from beets. In doing so, Americans pay nearly twice the price that other people around the world do for sugar. Sucrose does not contain any minerals, vitamins, protein, or fiber. From a nutritional standpoint, sucrose provides nothing other than calories. Natural sugar, such as those found in fruits, is identical to refined sugar, but the sugars in natural foods are often accompanied by fiber and vitamins. In 1942, the American Medical Association voiced concern with the amount of sugar consumption, stating that “it would be in the interest of the public health for all practical means to be taken to limit consumption of sugar in any form in which it fails to be combined with significant proportions of other foods of high nutritive quality.” This was only the start of attacks on sugar, which intensified in the 1970s, and then later in the 1980s and onward. 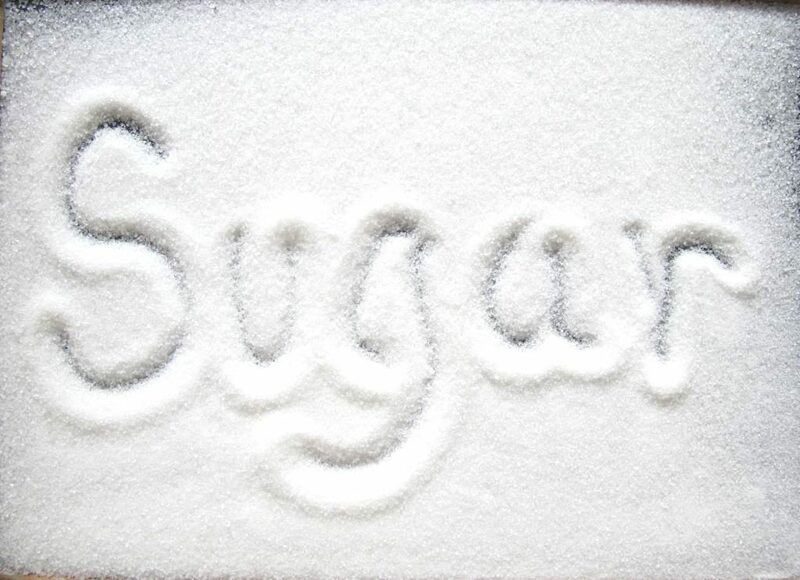 The only disease that has been directly tied to the consumption of sugar is dental cavities. Refined sugar, however, is a source of high calorie content, which is directly associated with obesity. The Center for Science in Public interest points out that the regular consumption of foods with high sugar content is frequently associated with the failure to eat foods with nutritional value. The United States Department of Agriculture reports that the each American consumes an average of 152 pounds of sugar each year.